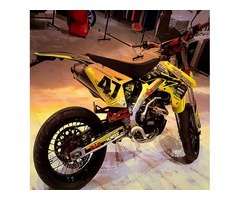 Cross X250 SE will be available in both Dirt and Motard version. 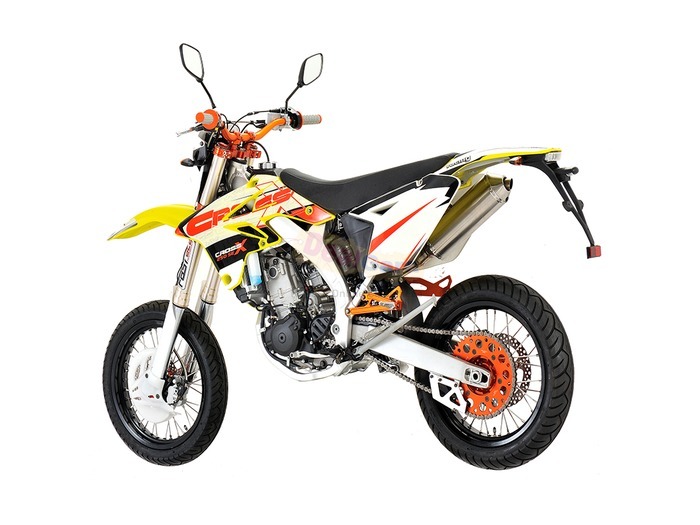 These motorbikes come with new upgraded aluminium frame and CNC parts making the bike look great and enhance performance. The usage of CNC clamps, hubs, levers, foot pegs and triple cone make the bike stronger, rigid, light and prevent twisting of parts. 4-Valve uni-cam motor is used in conjunction with factory carburetorto give 29.8 HP output to the bike. The framis light yet very rigid and with the perfect chasis the ergonomics of the bike can rival even the likes of major japnese motorcycle brands both in looks and performance. 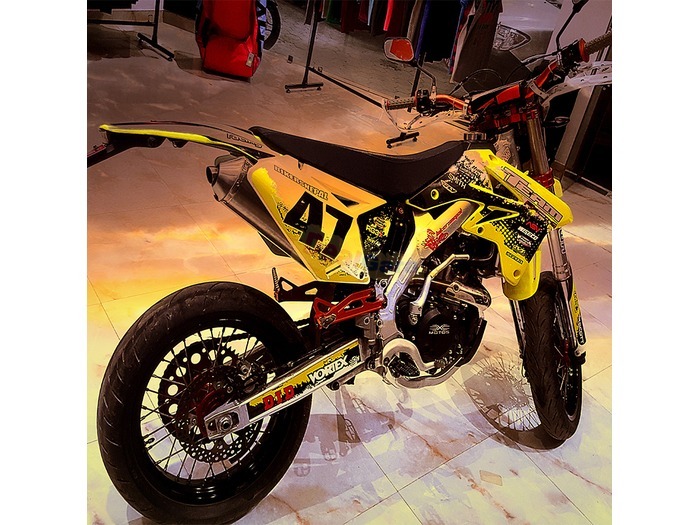 The suspension is fully adjustable, servicable and can be set up for each rider. Another compliment to the frame are the aluminum alloy rims. The rims fitted with CNC products are extremely tough and the choice for most riders worldwide.